Dads know what lurks in the hearts of boys, especially when it comes to our beautiful daughters. 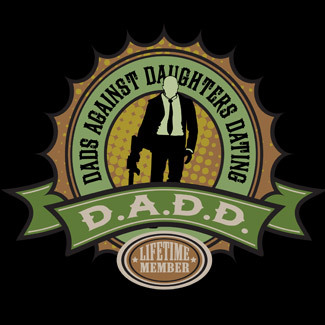 We are a protective sort and so thats why all fathers of little princesses should join DADD (Dad's Against Daughters Dating). Our DADD shirt is beautifully detailed with the lifetime membership emblem for our vengeful DADDs. Our emblem features a rather dangerous man in a suit carrying a high powered automatic weapon so that the right sort of threat is portrayed to those that would seek our daughters attentions. Click to see all shirt styles in this design! 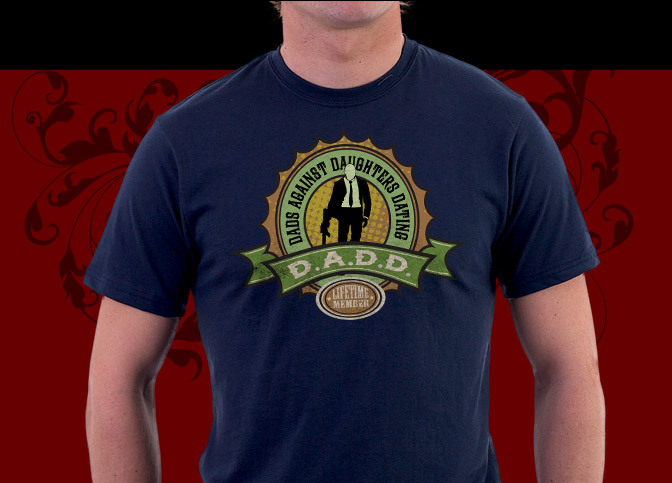 Tags: DADD, dads against daughters dating, funny dad shirt, humorous, fathers day shirts, D.A.D.D. *Prices on this page are subject to change without notice. Please click on the shirt style or the large image at top of this page for current prices. Some colors and size selections may carry additional charges which will be show once selected.